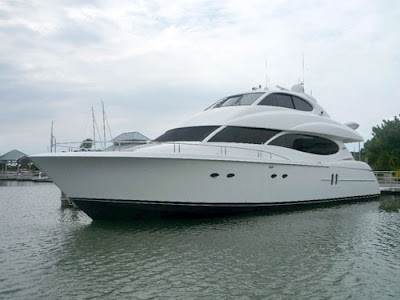 Now Available for charter in the Bahamas / Florida, the 85' Luxury Yacht Hail Mary. Below Amidships - Featuring a King bed w/ensuite bathroom Tub & Shower. 42' Plasma TV/DVD/CD Entertainment system with surround sound.